Reliance Hexham pride ourselves on being a risk mitigation solution provider. Specialising in the design, manufacture, repair and testing of equipment for use in the mining, specialised lifting and steel/aluminium processing industries, among others, Reliance Hexham offers a complete engineering solution. 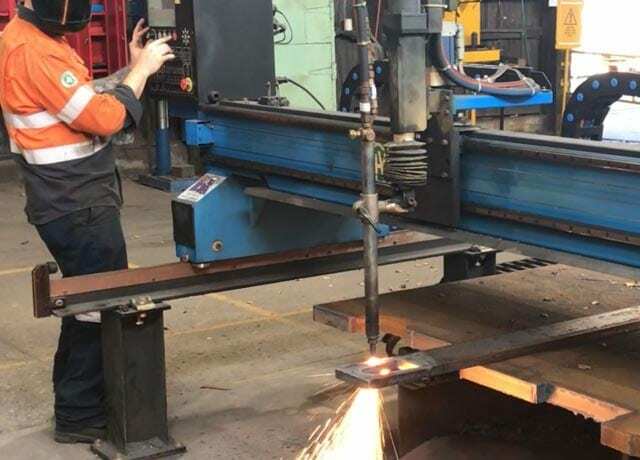 Whether working off a third party design or using our own, the utmost care goes into manufacturing high-quality, safe, durable equipment that minimises running costs and production interruptions for our customers. As fully-integrated designers and manufacturers, we are in the unique position to see the implementation of our proposed solutions: which are the factors that enable them to succeed, what can trigger their failure, and where are the pitfalls to consider. Our point of difference is that we see the challenges of each project’s realisation first-hand, from concept to implementation. This comprehensive control gives us a clear advantage in terms of know-how and practical experience. Our products are fabricated in-house and comply with the requirements of the standards covering calculations, manufacturing, and testing. All materials used are high quality and meet the requirements of the applicable standards. Material traceability is maintained as per our quality management system certification to ISO 9001:2015. Reliance Hexham’s expertise spans both the engineering and the manufacturing sides of projects, thanks to our dedicated team of engineers and tradespeople, that can count on more than 165 years of cumulative experience on the field. Arguably two of the most critical factors in the mining business are profitability and safety. Reliance Hexham is specialised in manufacturing and repairing mining equipment, including drift and shaft conveyances, with a focus on functionality and personnel safety. Thanks to our experience, the exclusive use of high-quality materials and an exhaustive product testing, we minimise your downtime and total cost of ownership so that you can focus on production. Skips for coal, ore and minerals. Specialised lifting businesses carry out extremely specific functions and therefore require non-standard machinery with a set of unique specifications. Reliance Hexham manufactures unusual, custom-built equipment and parts for niche businesses. Materials handling is an integral function for any business concerned with the moving of goods as part of their operations, from warehousing to manufacturing and waste removal. Reliance Hexham provides designed-to-order, tested and certified equipment as well as maintenance and re-certification services. We will ensure your materials handling equipment is fit for purpose and safe to use, no matter the application. We do not take quality assurance lightly. Our belief is that safety is not just a priority, but the very prerequisite of any product that’s fit to be used. Hence, we follow a structured installation and commissioning process whereby our engineers will prepare a list of tests and relevant acceptance criteria, to assess the equipment’s fitness for purpose and safety mechanisms. We will then measure and gauge the results, and make targeted recommendations for any alterations required. The above methods are covered by our NATA Accreditation. Function testing is an integral part of our installation and commissioning services. This assessment goes over and above other Non-Destructive Testing methods and validates the design as a whole, by verifying that the machine performs and functions as it should within its practical application. For example, if a vehicle has been fitted with stop buttons for emergencies, our engineering team will come to the customer’s site and verify that they work “in the lab” as well as in their operational environment. Some environmental and systemic conditions, such as restricted space or access, visibility, or a bumpy, uneven pathway can all impact the functionality of equipment and needs to be taken into account when testing new devices. We like to be one step ahead of the game, so we perform selected function tests even before installation, directly at our premises. Our facilities include equipment that simulates certain conditions, such as over wind instances to confirm hook detachment. 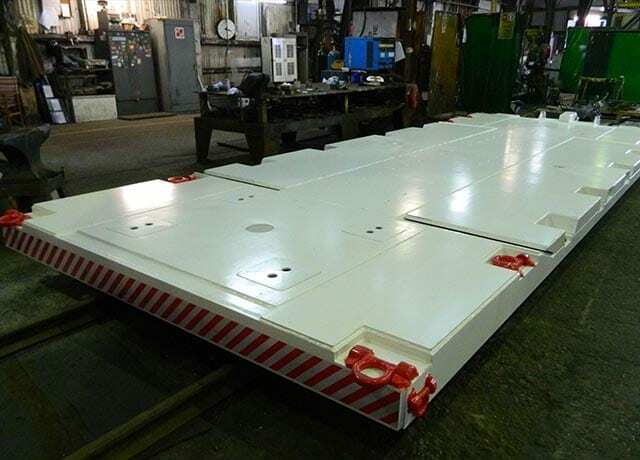 A recent project involved the design of a safety barrier for a rail vehicle. The requirement was for this barrier to raise automatically when the vehicle moved away from the loading dock, so our team set up a simulation in which this function was evaluated. By the time we delivered the vehicle on site for installation, we already knew that the barrier was functional, and the on-site testing confirmed this. Our team of specialists will be able to provide dedicated advice for your specific application and requirements and is always at your disposal for consultations or quotation requests.